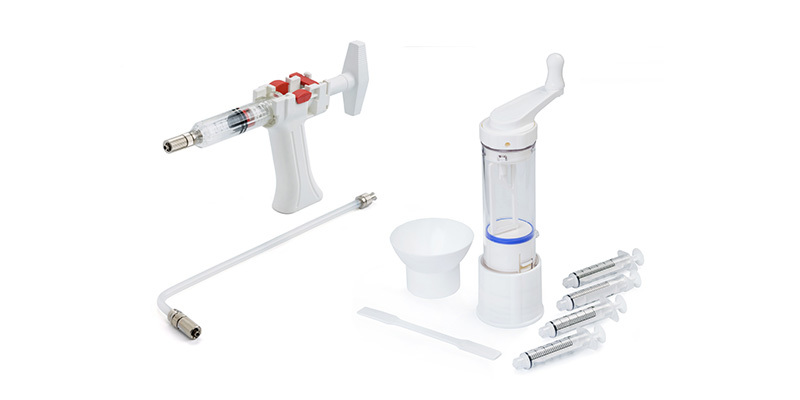 V-HP Gun™ gives the surgeon a larger working window to perform the procedure; the light weight allows an easy control during the whole procedure. 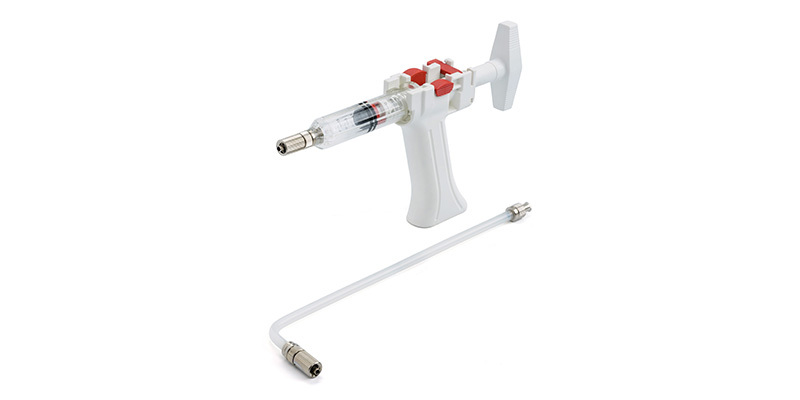 The high volume syringe, completely separated from the handle, allows an easy aspiration of cement until 15 cc. Thanks to the ON-OFF buttons it is possible to interrupt the flowing of cement with immediate decrease of the pressure. 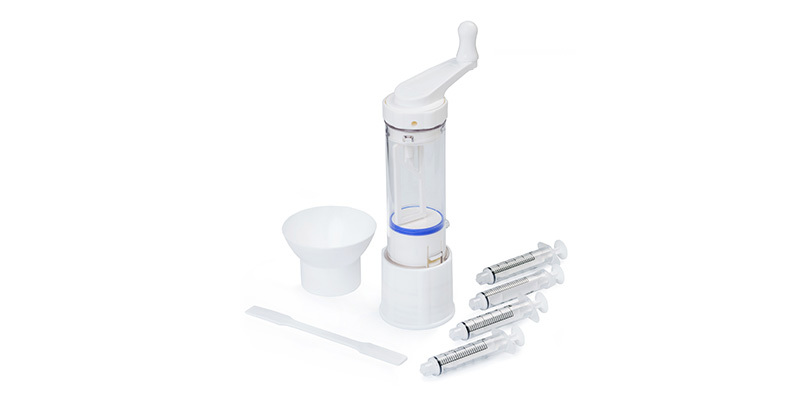 PicoMix™ V composed by, a funnel, a spatula and 4 syringes (with rigid plunger) for cement injection.